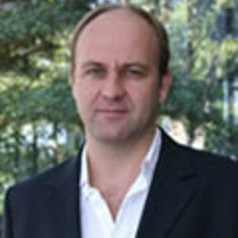 Theunis Roux is Professor of Law, UNSW Australia. Before relocating to Australia in January 2009, he was (for four years) the founding director of the South African Institute for Advanced Constitutional, Public, Human Rights and International Law (SAIFAC), an independent research institute based on Constitution Hill, Johannesburg. His main research interest is in comparative constitutional law, focusing on the politics of judicial review in new democracies. His latest book is The Politico-Legal Dynamics of Judicial Review: A Comparative Analysis (to be published by Cambridge University Press in September 2018. He is a former Secretary-General of the International Association of Constitutional Law, and was previously co-editor of the leading loose-leaf commentary on South African constitutional law, Stuart Woolman et al Constitutional Law of South Africa. In addition to his academic work, Theunis has acted as a consultant to the South African government in the areas of land restitution, land tenure reform, and regulation impact analysis.